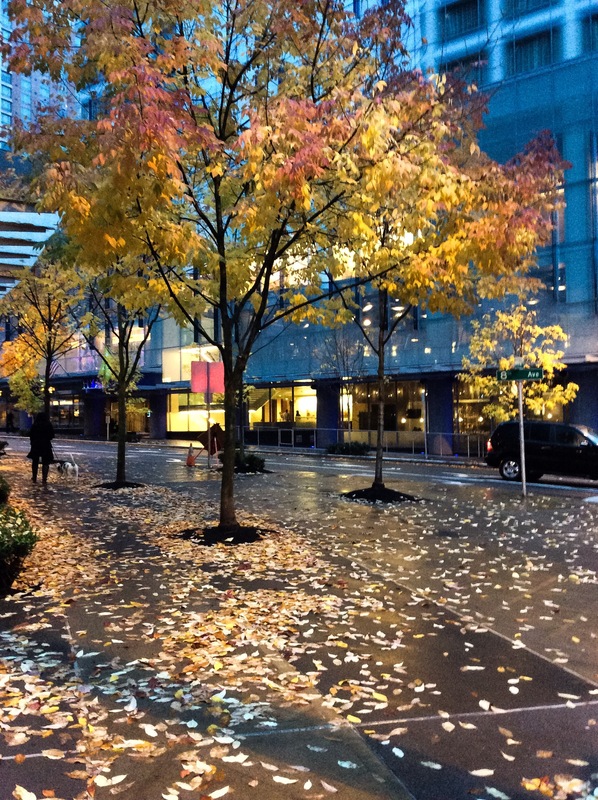 Loving the rain on the fallen leaves..
Posted on October 7, 2015 by Orion T.	This entry was posted in Citynature, Photography and tagged citylife, downtown, fall season, rain, Seattle. Bookmark the permalink. This is an example of keeping it positive — while others are bummed about the rain, you see the beauty! Indeed! I’m hoping for a bit more rain as the west coast really needs it. yes. I was thinking that walking by there to work, and just had to share.